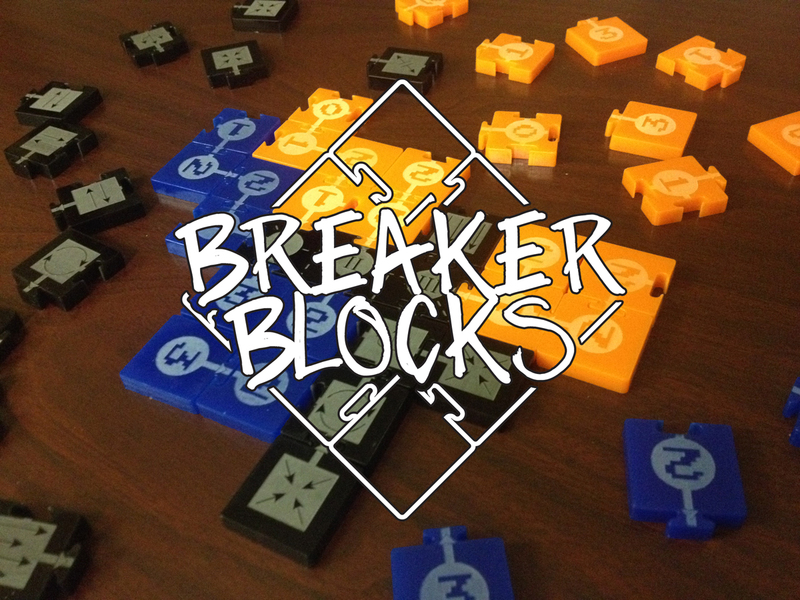 Breaker Blocks is a 10-minute game of circuit building and sabotage for two players. Place tiles to build better circuits than your opponent, then try to end the game while you're winning. Breaker Blocks was first designed as a jam project at Philly Dev Night and has since been released independently on Spriteborne.com where each copy is personally crafted and shipped directly from the designer to you. By "the designer" I mean "me" and "it's weird to write about myself in the third person." People seem to like it. It's been featured at Philly GamesCon, TooManyGames, International Tabletop Day, and several other places. It was a winner in the Smithsonian Indie Arcade Coast-to-Coast 2016 competition and shown off in the Smithsonian American Art Museum for it. It's a nominee in the SXSW 2016 Gaming Awards. I think it's pretty fun. My parents like it. Why are you still reading this? Listed here is a pay-what-you-want print-and-play version of the game. The physical version is available here.